Home Entertainment Meghan Jadhav: I was excited about essaying Kartikey on Mahakaali! Meghan Jadhav: I was excited about essaying Kartikey on Mahakaali! 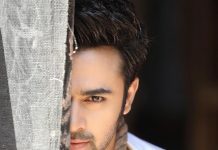 Television actor Meghan Jadhav, who is currently seen as Kartikeya in the Colors’ show Mahakaali Anth Hi Aarambh Hai, says that it was the numerous qualities of his character that made him take up the role. “The character of Kartikeya is filled with all kinds of emotions and he carries the traits of an ideal, responsible son. It is totally different than any other character in the show and it has got all the traits of an angry young man hero from the movies. I found all these qualities of Kartikey really fascinating and I was excited about essaying this role. 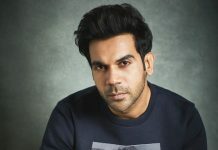 I accepted the role with a lot of responsibility of playing a God on screen, especially when it is connected to people’s emotion and I hope of doing justice to it,” he says. Meghan says that he has been getting great feedback for the role. “The response has absolutely been overwhelming. I am happy to see that the viewers instantly connected to me and accepted me in the character. Every day, they are showering their love and wishes for me through social media. And that is what inspires me to work harder,” he says. Mahakaali is also exciting for Meghan because of the action sequences. “Every second day, I’m doing an action scene on the sets because of the battles and war sequences between the gods and the evil. It’s really fun doing all the stunts and action under the legendary action director Tinu Verma sir. Every day is a learning experience with him,” he says. The actor makes sure that he is well prepared every day for the shoot. “When you are working in one of the top shows on television, it automatically puts you in the zone where you have to be prepared for your everyday shoot, in order to get everything right be it your acting or the action. I’m constantly trying to learn by reading, watching movies and videos related to the show,” he says.